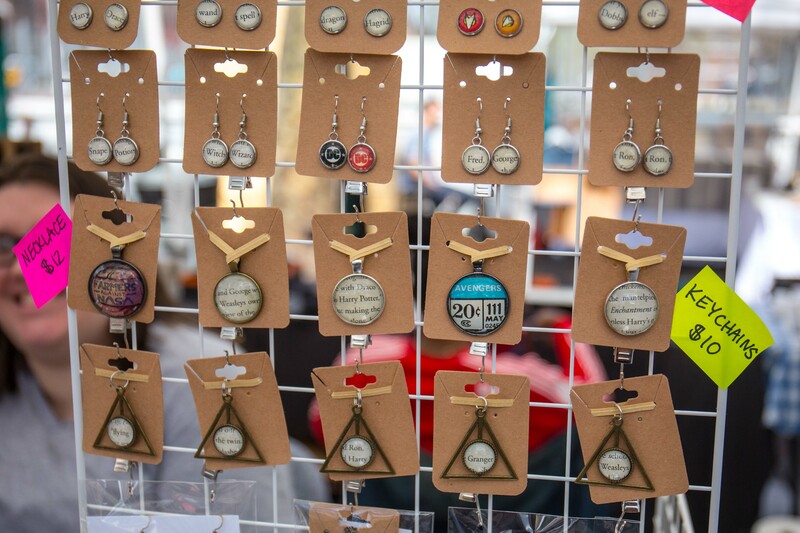 The Hester Street Fair entered its 10th season in lovely, spring-weather style this past weekend, filling its familiar home in Seward Park with artisans, herbalists, designers, CBD pushers, vintage clothing fanciers, ceramists, queer activists, and, of course, the sweet, sweet smoke from open grills cooking up large plates of good, cheap food for the locals. 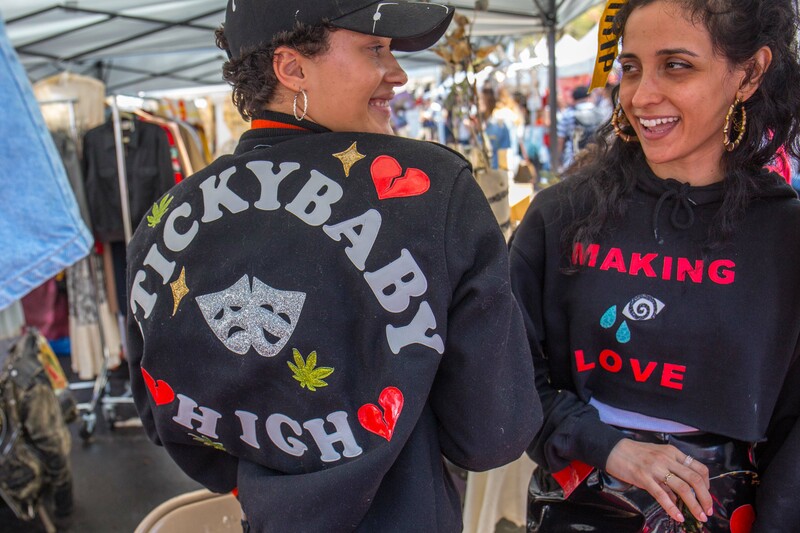 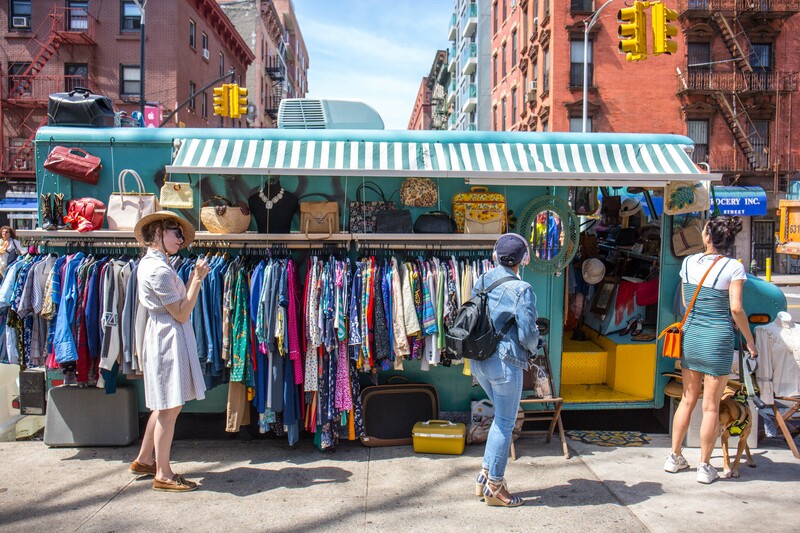 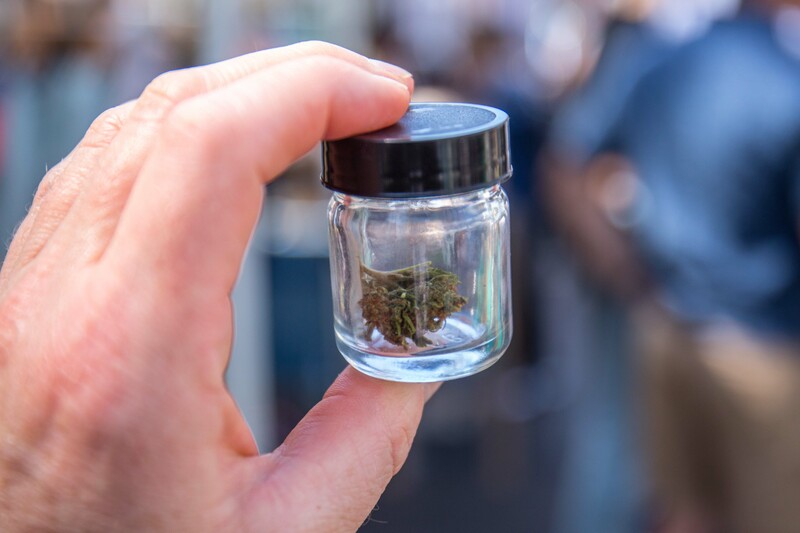 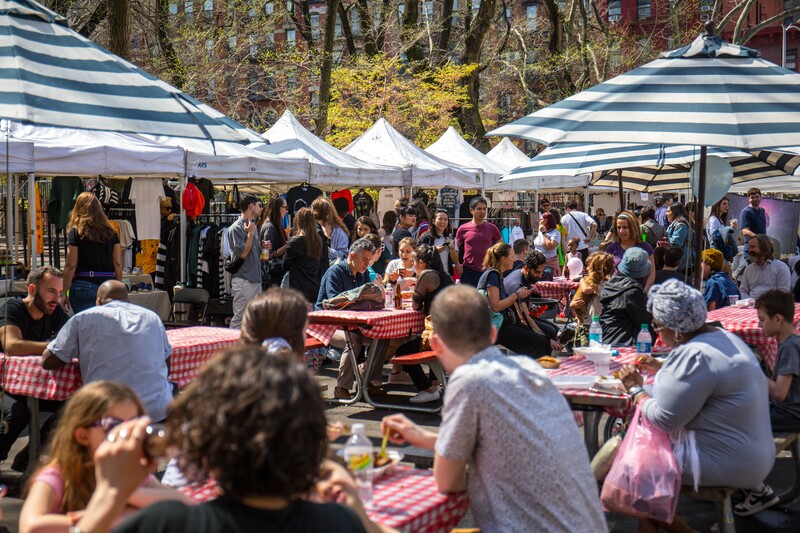 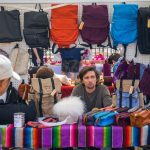 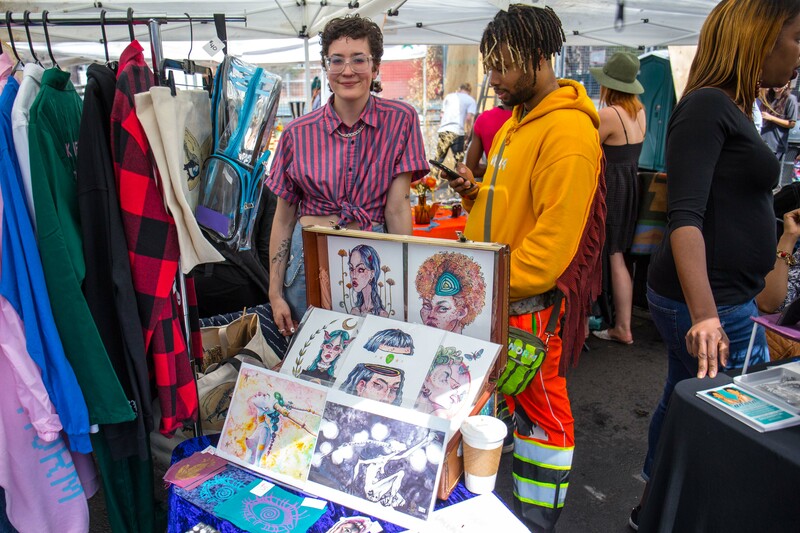 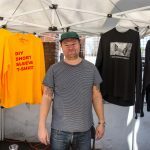 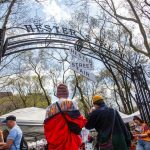 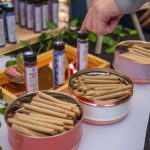 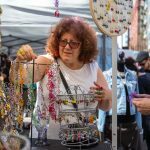 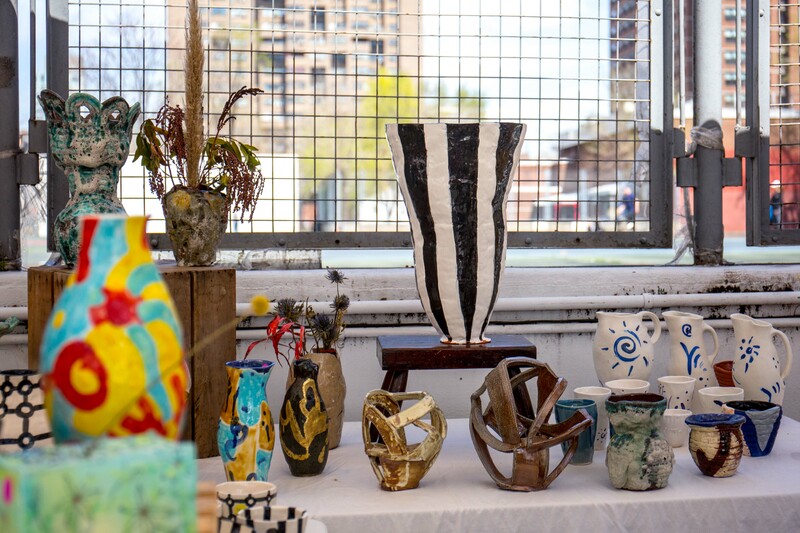 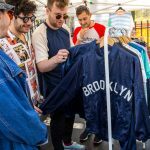 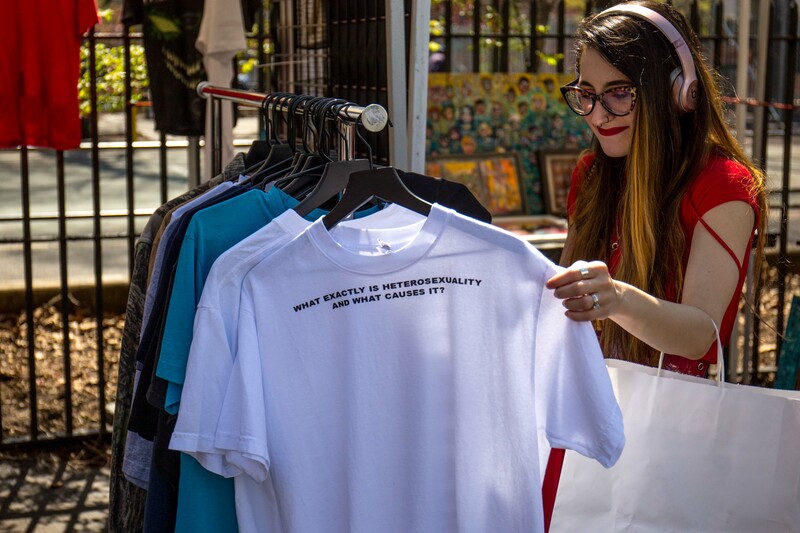 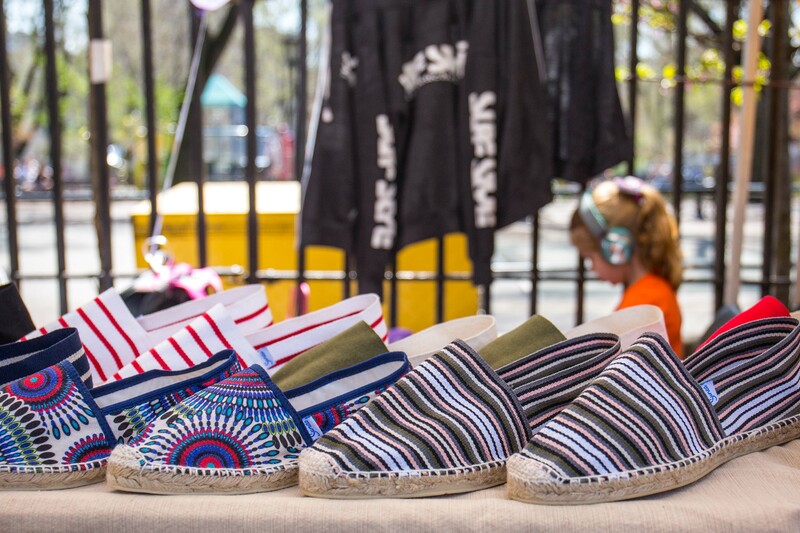 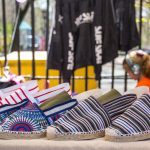 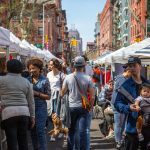 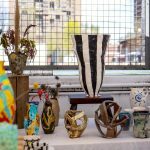 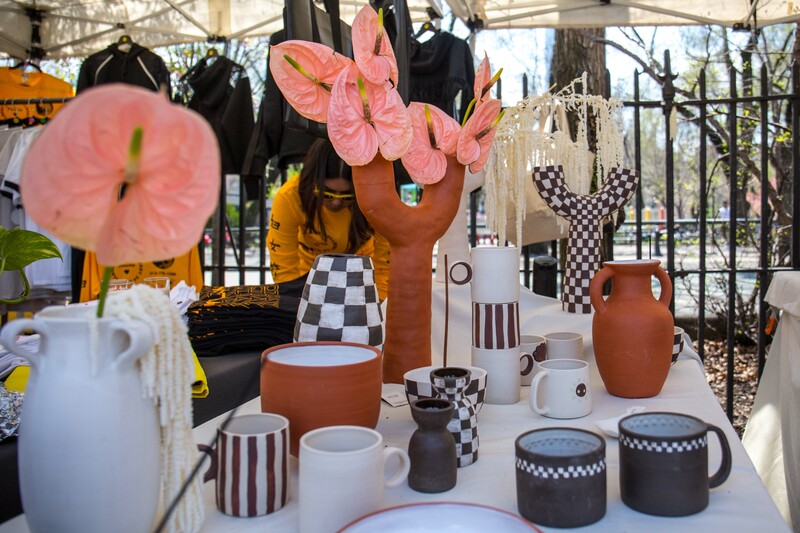 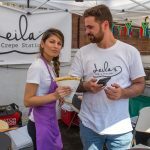 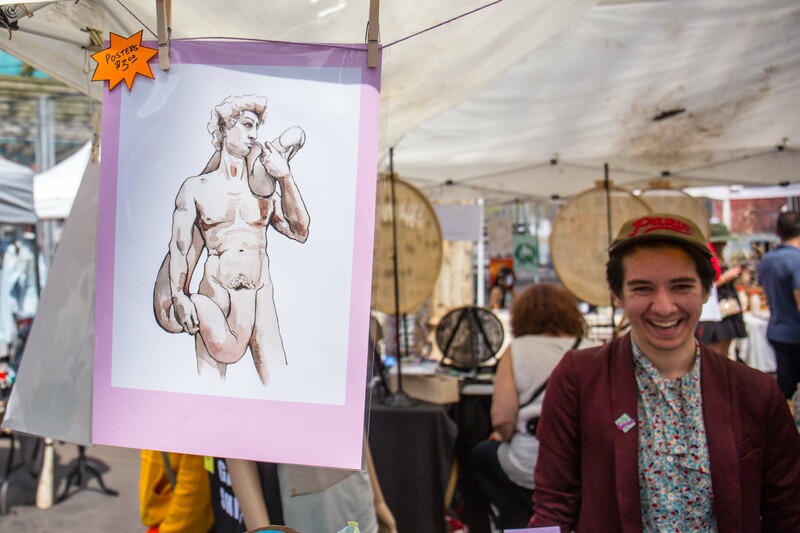 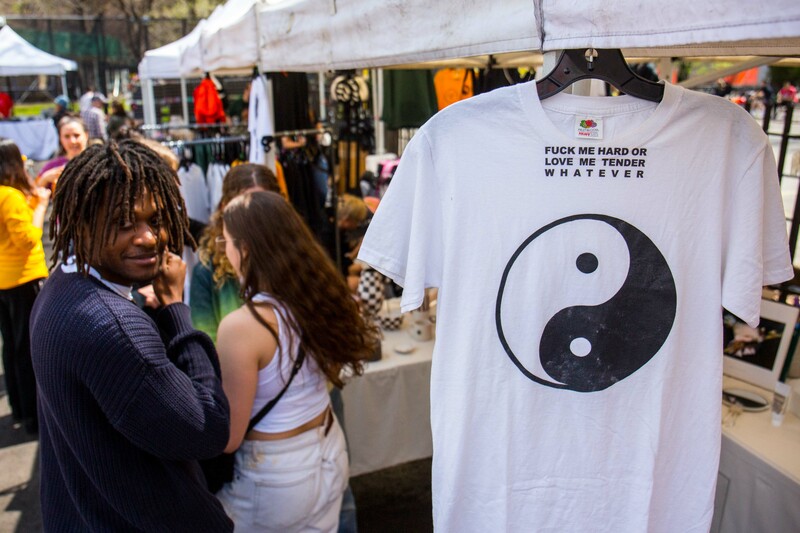 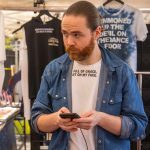 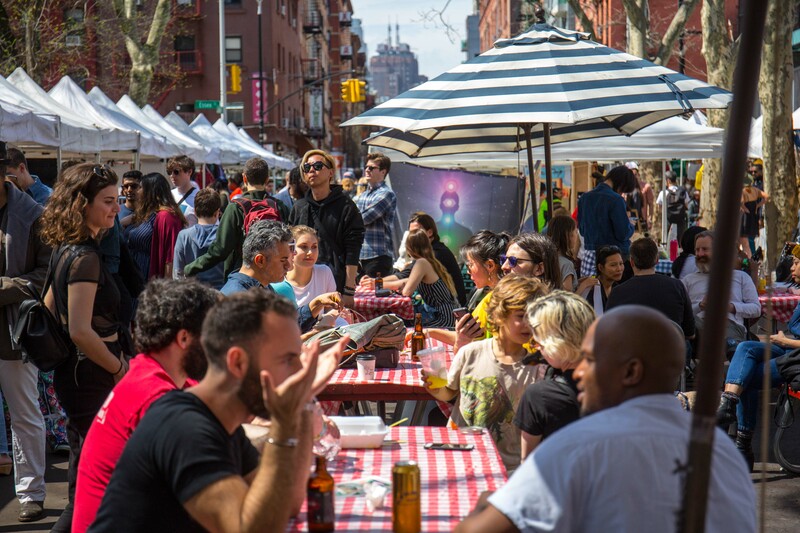 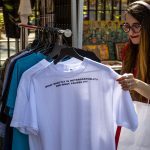 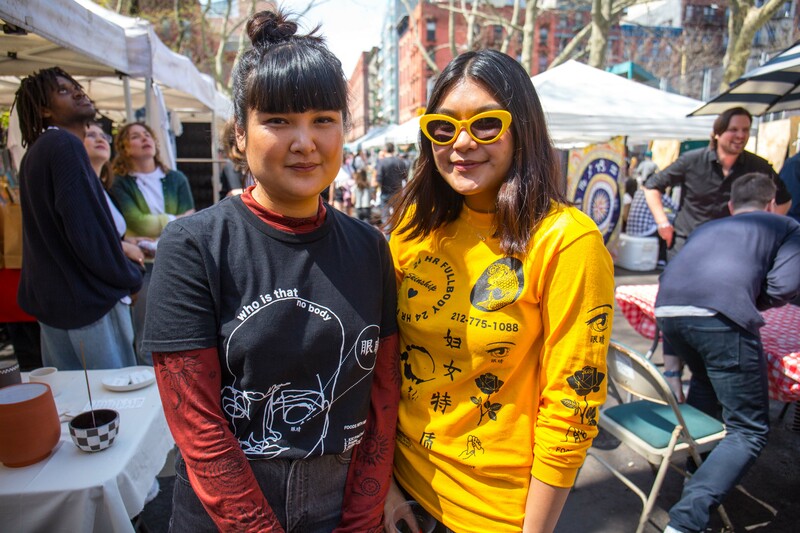 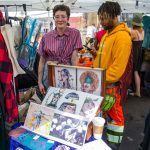 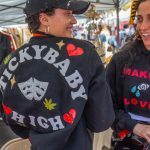 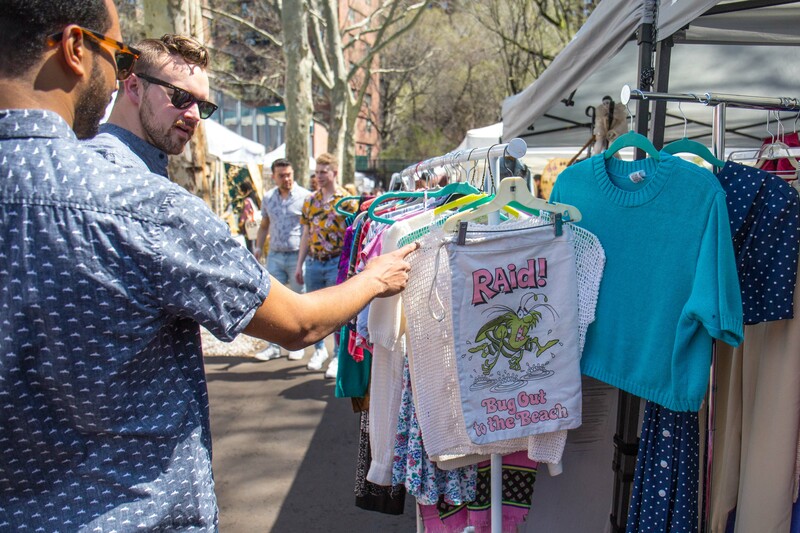 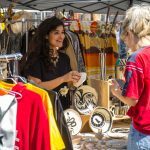 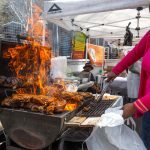 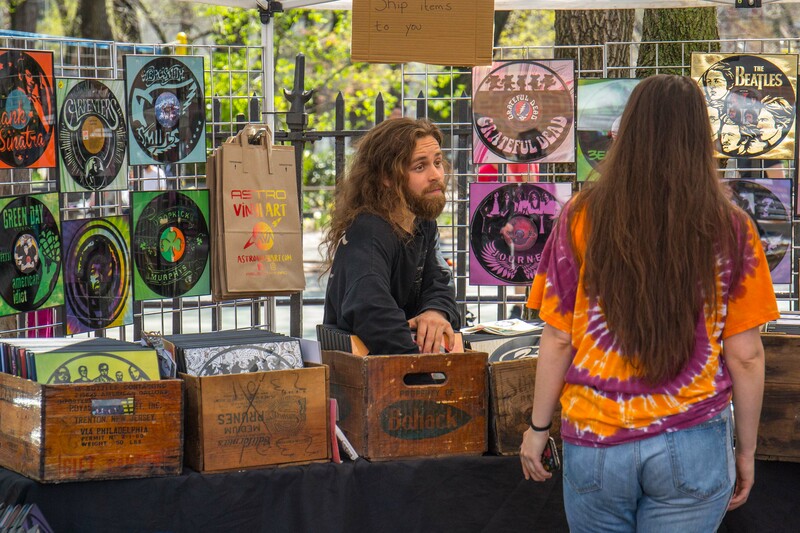 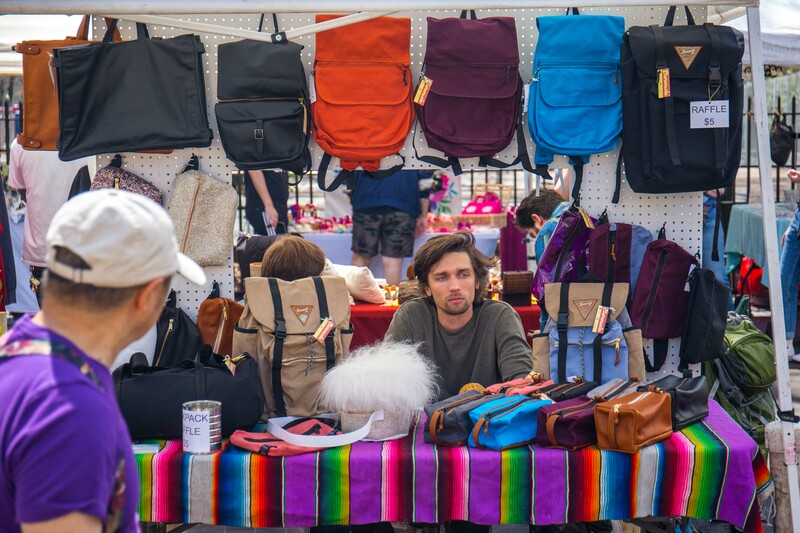 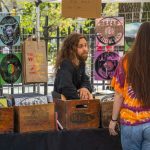 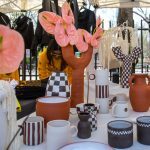 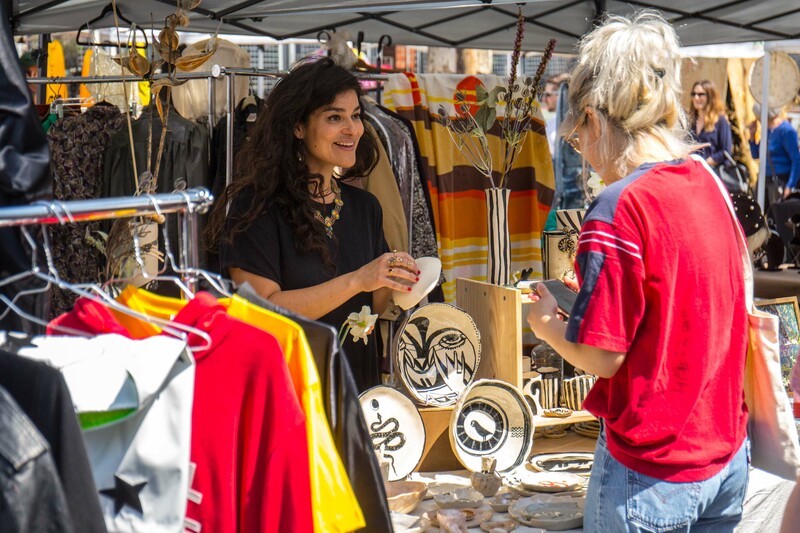 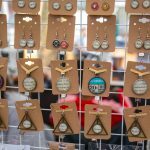 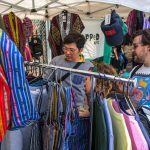 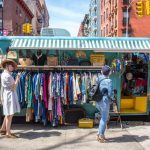 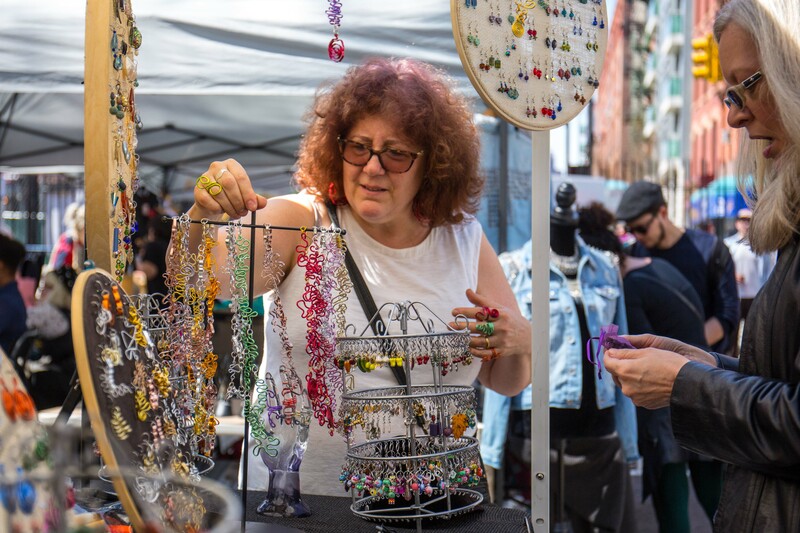 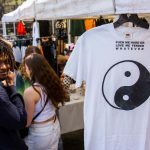 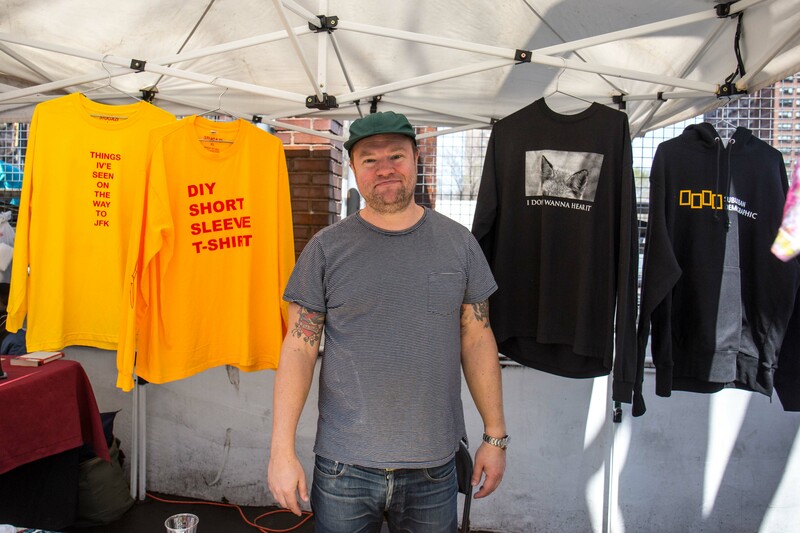 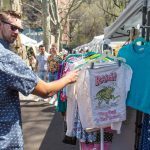 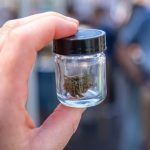 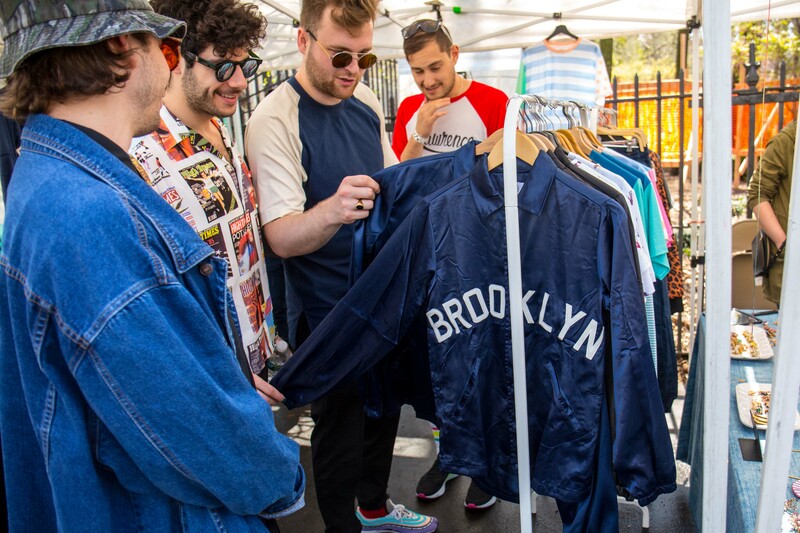 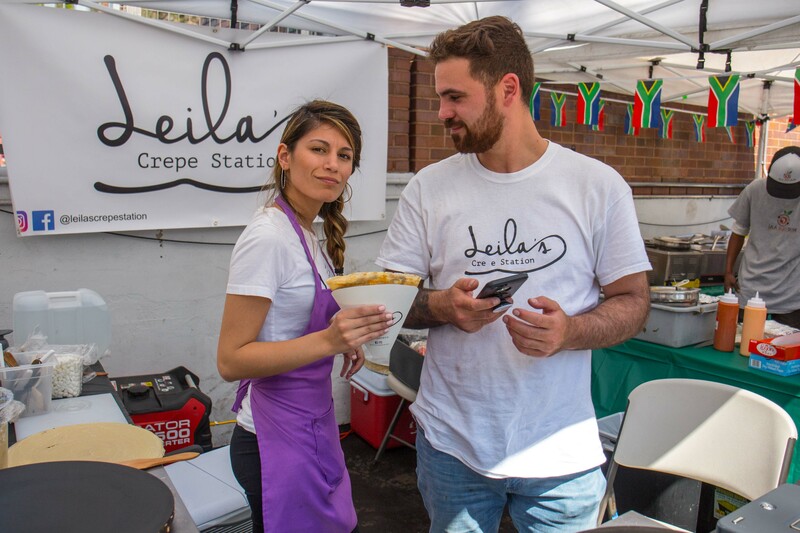 Because even after all these years, the Hester Street Fair remains very much a community-oriented event, with plenty of room for the odd, the passionately niche, the delightfully DIY. 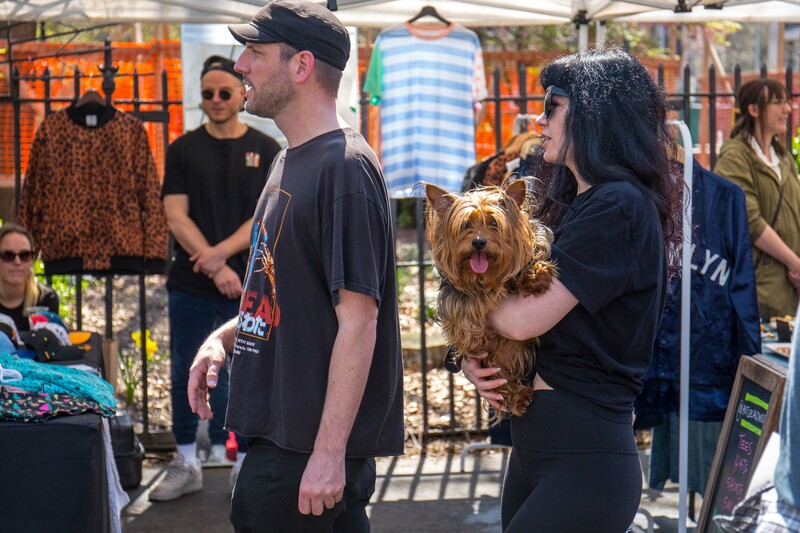 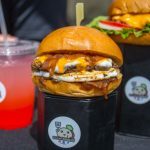 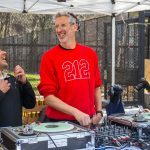 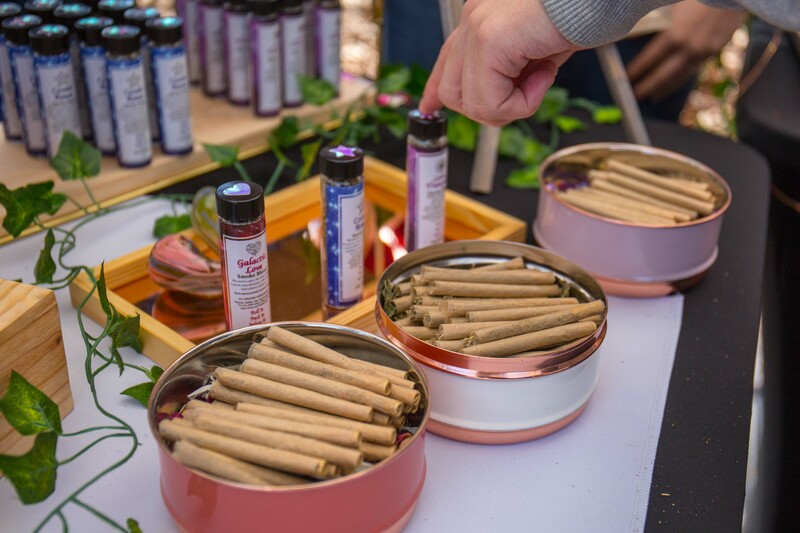 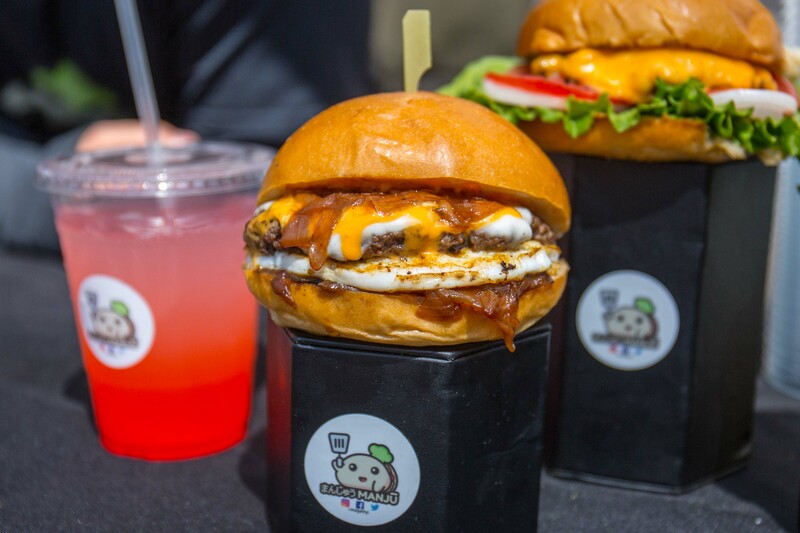 On Saturday afternoon, the official opening day, the park was filled with shoppers and browsers, brunch-eaters and beer-drinkers, crews of hungover friends, families, and dog walkers. 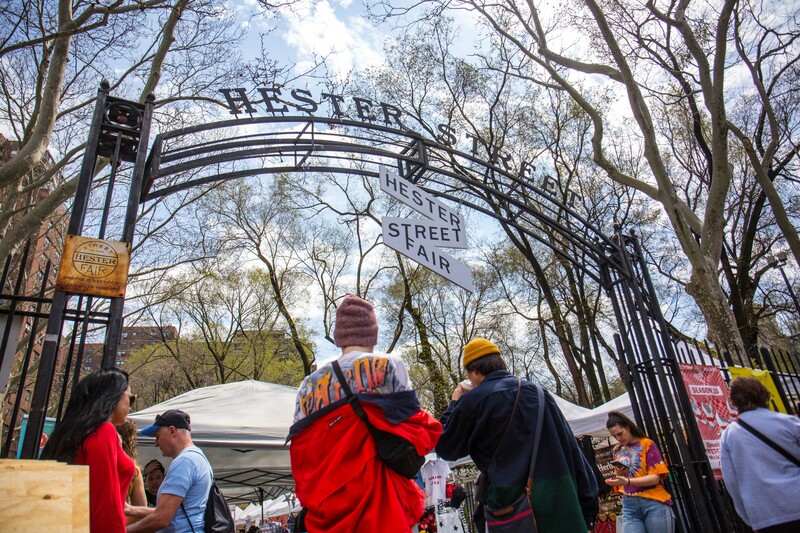 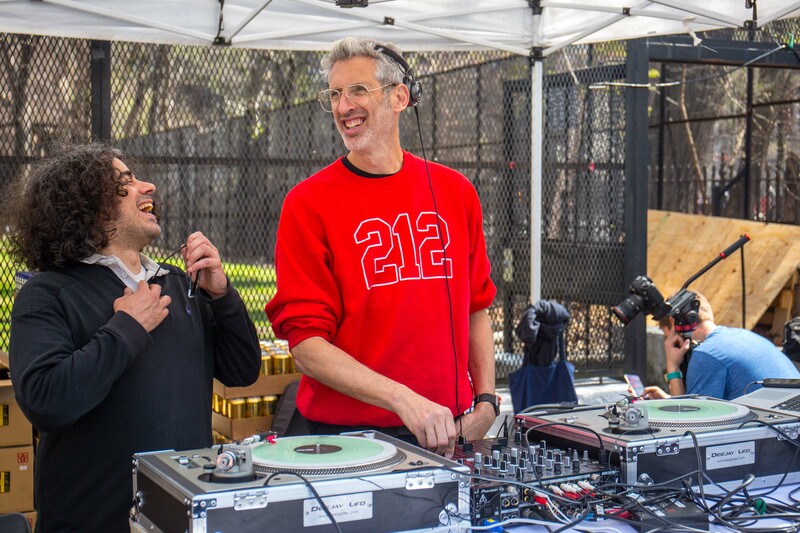 But although it’s always plenty lively and fun–especially with DJ Stretch Armstrong on the decks–Hester Street rarely gets unpleasantly packed. 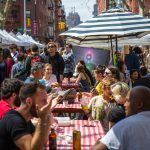 It’s less a destination for food tourists, and more a chill place to hang out for a bit on your way to and/or from the other parts of your day. 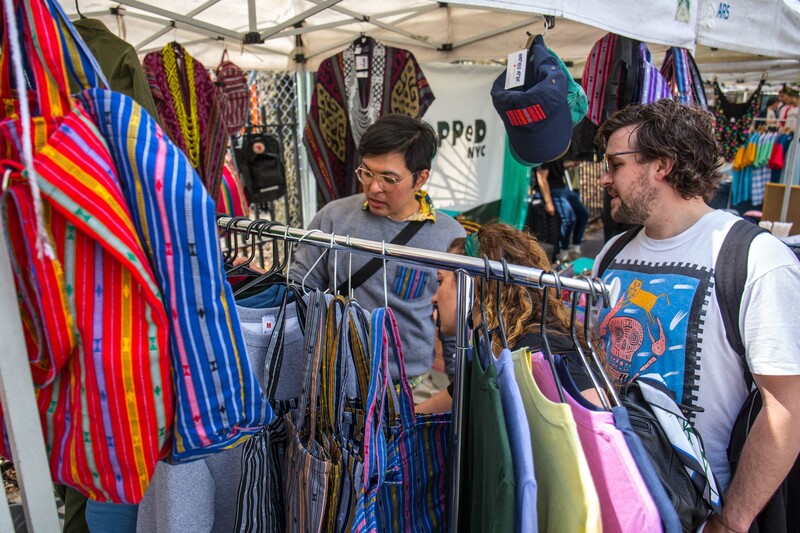 Highlights from the opening include the cleverly altered clothing at Stickybaby; herbal remedies (and casual consultations) from Goodwitch’s Gabrielle and Caroline; the organic plant-based sunblock and skincare at ZOCO, handmade by Rockaway’s Emily Seager; the random, deadpan t-shirts from Stugazi; literal joints at Herbs Fit Life (available in Cosmic, Lotus, and Galactic varieties); and the hilarious queer(ish) accessories at the Bleakstagram booth. 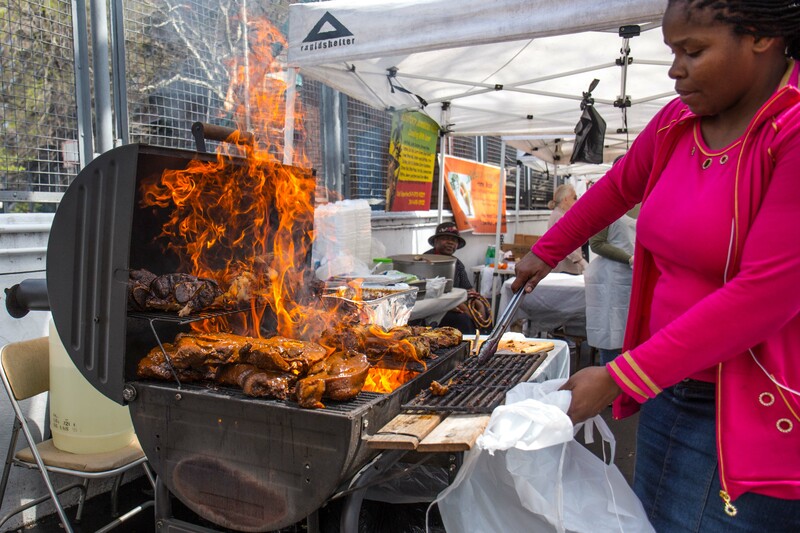 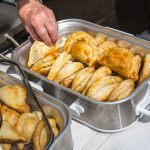 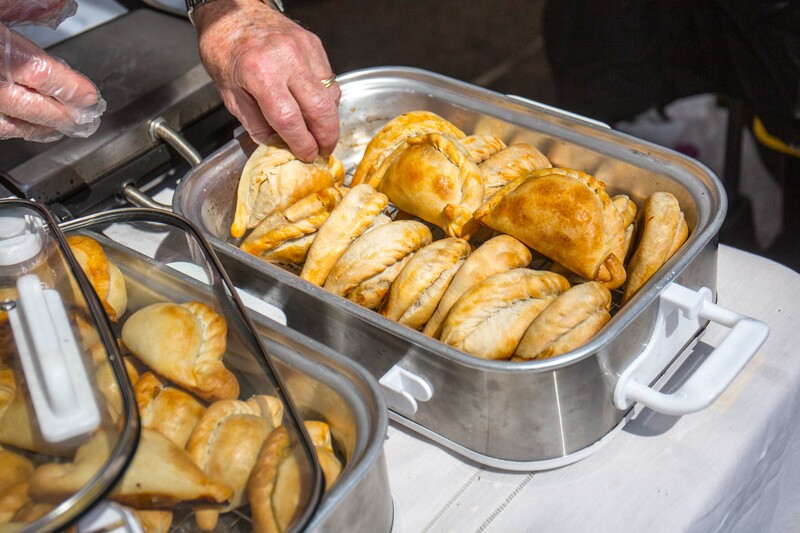 Food was provided by Rostacy Jamaican (jerk pork, curry Shrimp), Bebe’s Kitchen (alfajores, empanadas), Manju (bahn mi burgers), Lelia’s Crepe Station, and Jaa Dijo Dom’s “flavors of Africa” (bunny chow, chakalaka). 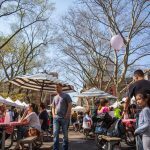 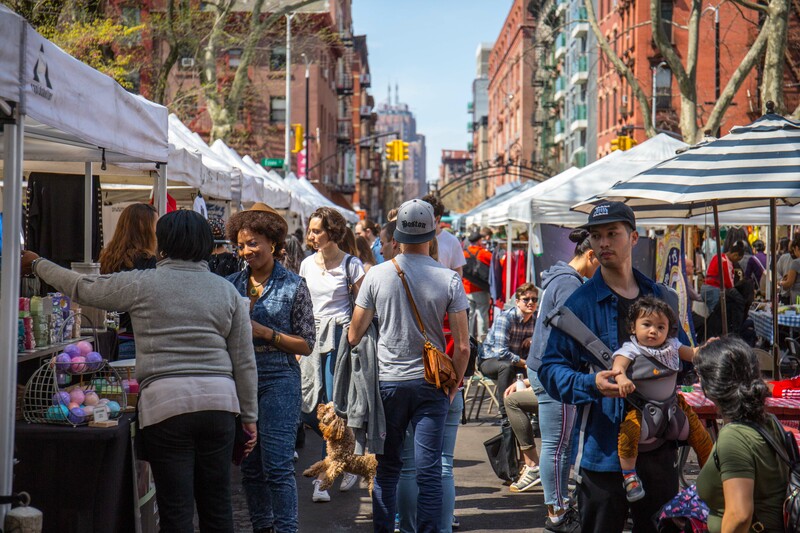 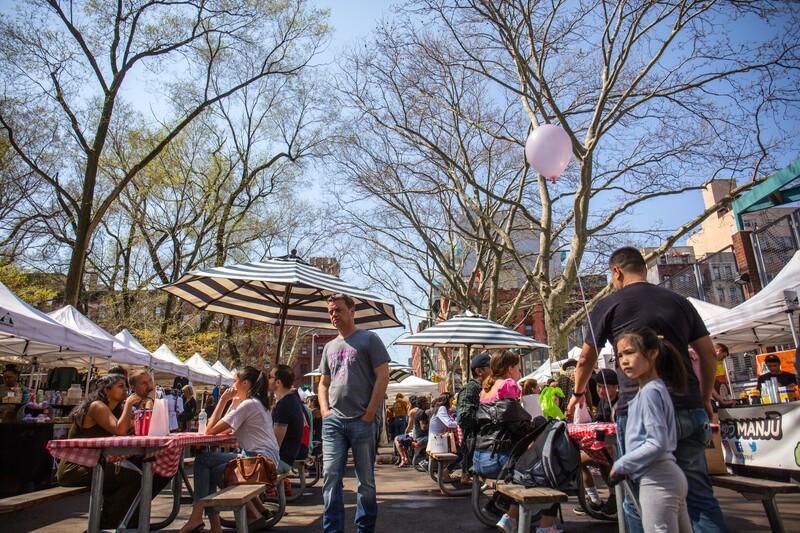 So that’s the regular market, but Hester Street also makes room for special days that absolutely will draw in people from all over the city. 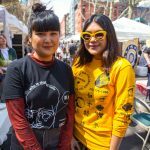 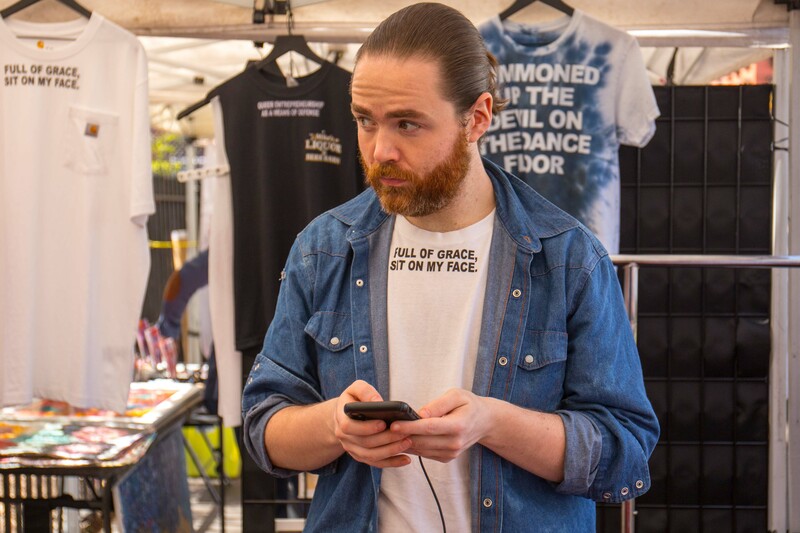 Coming up on Sunday, May 5, for example, is the second Food Baby Festival, hosted and expertly curated by those amazing Instagram eaters Mike, Alex, Matty, Sammy and Nicky Chau. 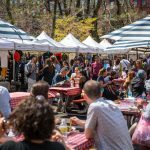 Among the many reasons to get excited about this one: pizza from the incomparable Mamma’s Too, doughnuts from Astoria’s excellent Comfortland, cookies from Chip, ice cream from Bona Bona and Ice & Vice, fried cheese from Big Mozz, sandwiches from Parm, select dishes from the great Kopitiam, and crazy croissants from Supermoon. 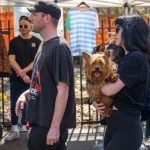 Other upcoming events include Pet Day on May 11, the CBD Festival on May 19, and the always-popular Ice Cream Social on July 20.